This year will see some of the biggest and best events for developers, hackers and tech-savvy individuals. Don’t believe us? Just have a look at this list of world-renowned conferences hosted in unusual locations like theme parks and scrapyards or that include activities like gaming tournaments or camping with your family – an opportunity to have fun whilst learning, networking and in some cases, meeting investors. Have a look at these recommendations and book your tickets. If you have any worthy events to add to the list, let us know! Jfokus is Sweden’s largest developer conference and is all about developers: Java, front-end, DevOps, Internet of Things, AI, cloud, big data, languages like Scala and Kotlin, Agile development and… here it comes comic book fans… Superheroes! Jfokus includes conferences, hands-on labs and a VM Tech Summit – an open technical collaboration among language designers, compiler writers, tool builders, runtime engineers, and VM architects. If you are an advanced IT professional, you can also attend intensive, deep dive training sessions at the Jfokus Academy. Oracle, IBM and Capgemini are some of the event partners, so get your tickets and make your way to stunning Stockholm! 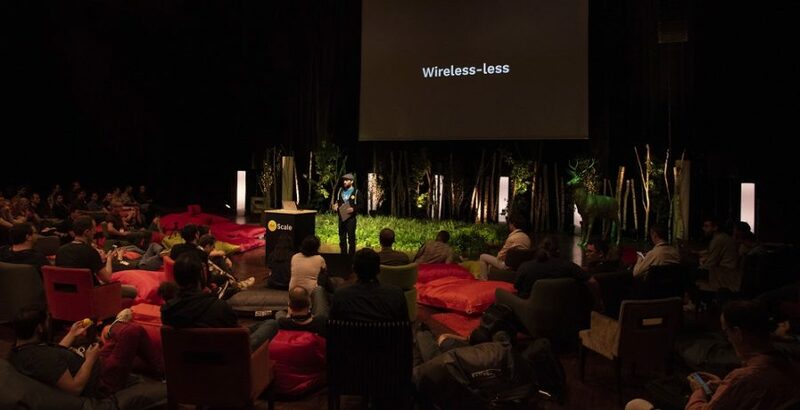 A series of seven high-calibre developer events in Paris with a mission of bringing the best hackers in the world to the Théâtre de Paris to let them share their unique and unheard-of insights in a TED-like format. There are no marketing speeches, no buzzword cover-ups and speaking slots are not for sale. The location is an attraction in itself, as attendees get to visit one of the most famous cities in the world, but also, because this location is the hub for the Paris Tech talks. Javaland is a new technologies conference created to disrupt the traditional German business scene. 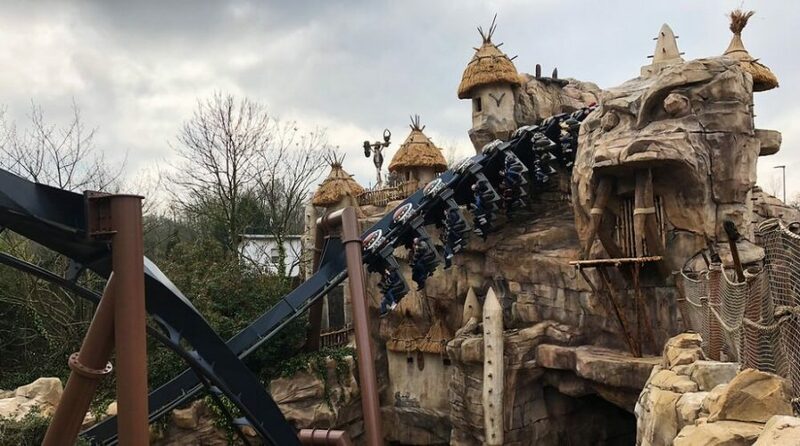 It is a very in-depth Java/JVM-oriented conference held every year in Phantasialand, a theme park located near Cologne, in Germany. In addition to conferences and training days, the program is full of activities such as The Java Innovation Lab. The Mentoring Fight Club and The Jug Café – a space created to enable each attendee to get the chance to meet the Java User Group of their region over coffee and cake. There are leisure activities available such as the Freeletics or Javajogging sessions for those who like a bit of exercise, and lots of evening events. 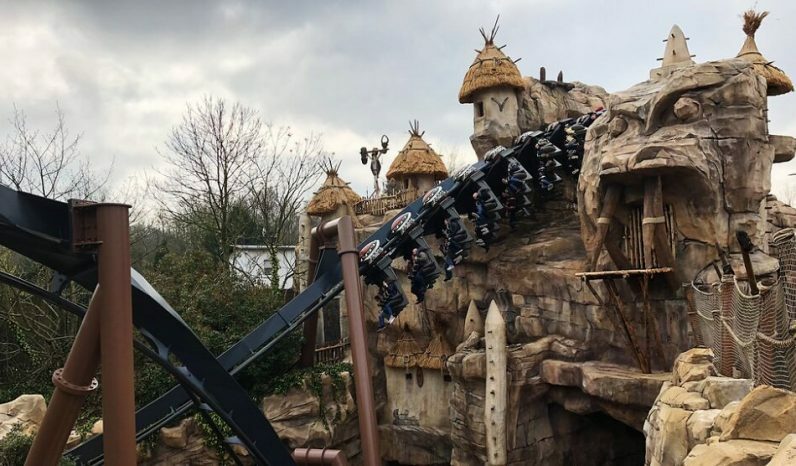 The biggest perk of course is that you will have access to all the park attractions at Phantasialand. CloudFest embraces and celebrates the cloud industry, showcasing everything new and exciting in technology and internet innovation. 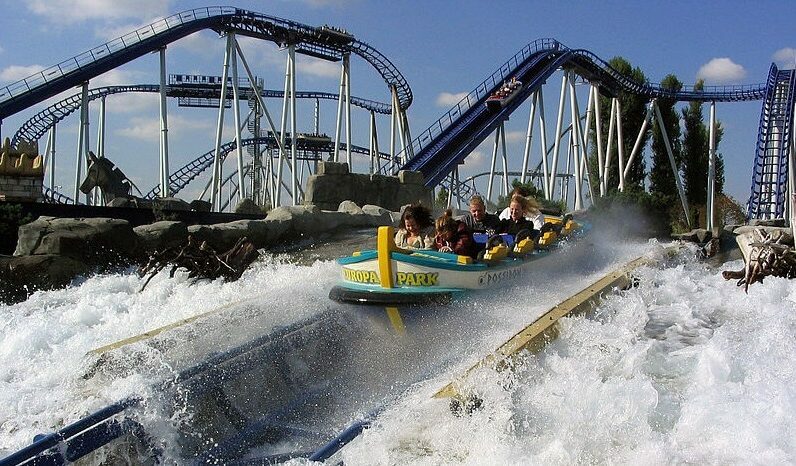 With over 7,000 attendees, it naturally requires a big venue, which in this case is the Confertainment Centre in Europa-Park, the largest theme park in Germany and the second most popular theme park resort in Europe, just after Disneyland Paris. The event includes keynotes, workshops, speciality panels, networking and a Hackathon – a series of sessions that put together the best and brightest minds of the coding community, to work on creating solutions for real-world problems. The event also includes concerts, parties, karaoke nights and accommodation located in or directly adjacent to the park, which means you don’t need to leave the park and can access its attractions at any time. 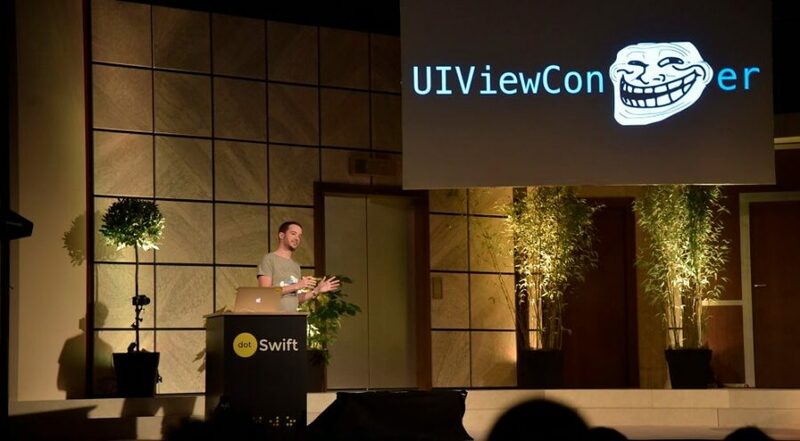 A tech conference for developers, rooted in community, exploring the Internet of Things, and all technologies used for mobile, web and cloud. The event spans three days with a thousand of campers and their families, getting involved in everything from writing epic code to making paper airplanes. There is a promise to deliver good times and lots of bacon. As explained it by the organisers “Last year there was a Frisbee-throwing robot, this year there will be a robot that throws other robots, maybe”. It all happens in one of the largest indoor waterparks in the United States of America, with hair-raising waterslides, world-class spas, kids’ play areas, and diverse dining options. There is also a full program with activities for the whole family. Slush is a student-driven, non-profit movement originally founded to change attitudes toward entrepreneurship, built for entrepreneurs by entrepreneurs. The event is designed for growing companies at all stages and from all industries, whether you are looking for investors, customers, media exposure or mentoring. It also offers a unique opportunity to reach the global audience and engage with the tech community. 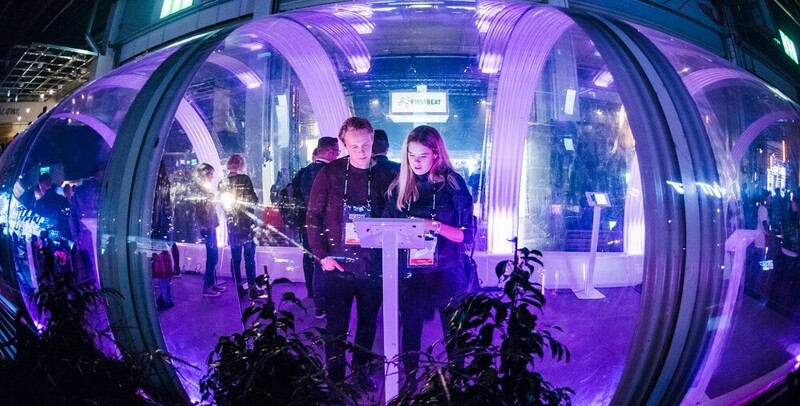 Slush offers lots of opportunities for entrepreneurs to showcase their projects in demo booths, and contest for the best pitch during Showtech Time to get attention from the investors. Attendees are also able to pre-book meetings via the Slush matchmaking tool, and attend to keynote sessions, speedy mentoring and roundtables. Whatever your reason to attend, Slush guarantees you will leave inspired. Where: Bord Gáis Energy Theatre in Dublin, Ireland. Looking for inspiration and ideas? Inspirefest is a unique international festival of technology, science, design and arts, a series of conferences for leaders, professionals, scientists, engineers, entrepreneurs, investors, coders, academics, students, decision-makers and influencers, and also for big companies like Google, SAP, IBM, Facebook and Microsoft, who have previously attended. In a nutshell, a conference for the brightest minds. The event takes place in the Bord Gáis Energy Theatre in Dublin’s Silicon Docks and the ticket also includes free entry to the legendary Fringe Festival, with live music, comedy, delicious food, craft beer in an unmatched networking environment. If you are an entrepreneur, then you must attend the biggest and craziest start-up festival in Europe, dedicated to technology and innovation. PIRATE Summit is Europe’s largest invitation-/application-only conference for early-stage start-ups, investors and corporate executives. It provides inspirational talks where people share their entrepreneurial life experiences with ups and downs, and masterclasses on Facebook ads campaigns. There is speed dating, barbecue sessions, pitch competitions at the captain’s deck and even a burn ceremony at night. 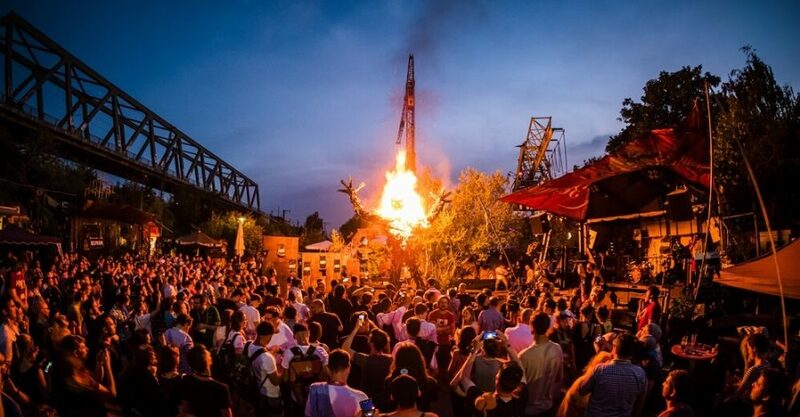 The event is hosted in Odonien, a scrapyard turned into an outdoor art gallery. 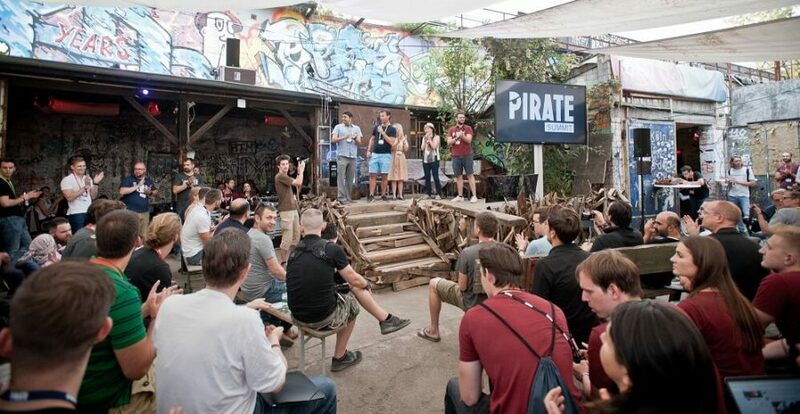 It is the perfect pirate location and offers enough space for fire, fun, networking and robots. 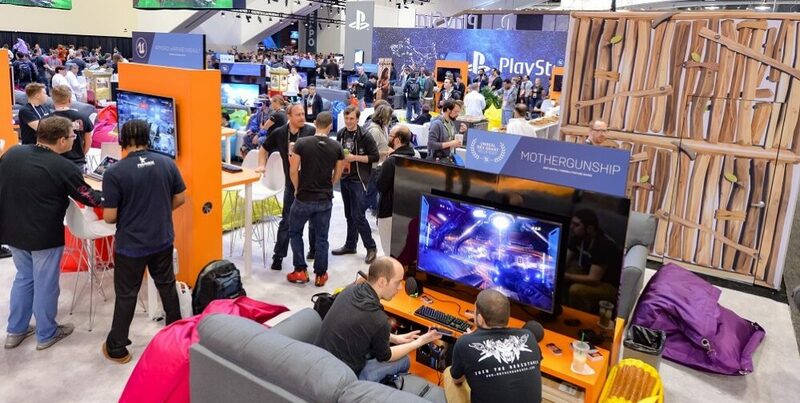 With over 28,000 attendees, the GDC is one of the largest game industry event. 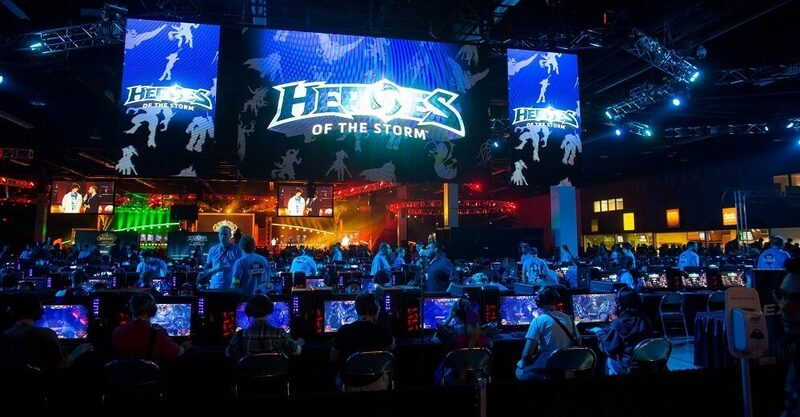 The expo showcases the latest game development tools and services from 550 leading technology companies such as Amazon, Google, Intel, Nvidia, Oculus, Sony, and Unreal Engine. It is also a great platform for business matchmaking, setting up meetings as we well as exploring new partnerships and business opportunities. Attendees include programmers, artists, producers, game designers, audio professionals, business decision-makers and others involved in the development of interactive games and immersive experiences. The event is not all about business. Attendees can relax, play inventive and innovative games, and meet new people throughout the week at interactive spaces, themed areas for indie games, retro games and alternative controllers. 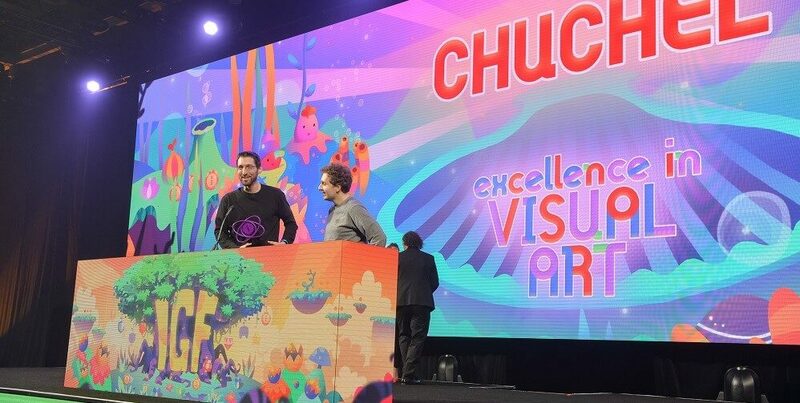 The GDC Film Festival, The Game Developers Choice Awards and The Independent Games Festival are also part of this event. If you like video games or you are game developer yourself, this is the event for you. 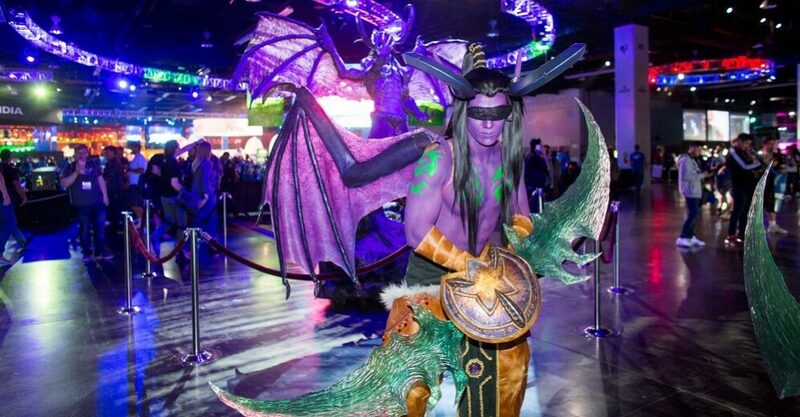 Blizzcon is an annual gaming convention held by Blizzard Entertainment to promote its major franchises World of Warcraft, StarCraft, Diablo, Hearthstone, Heroes of the Storm and Overwatch. 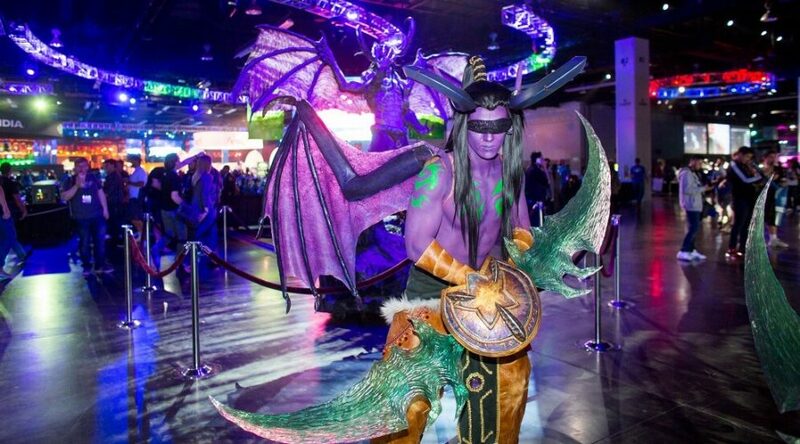 During the event – usually visited by more than 40,000 people – they announce new games, hold panels with developers, let the best players in the world show off their skills in tournaments, offer hands-on demos of just-announced games, host costume and talent contests during Community night, and have live concerts. An event that puts together the creators, the players and the watchers. 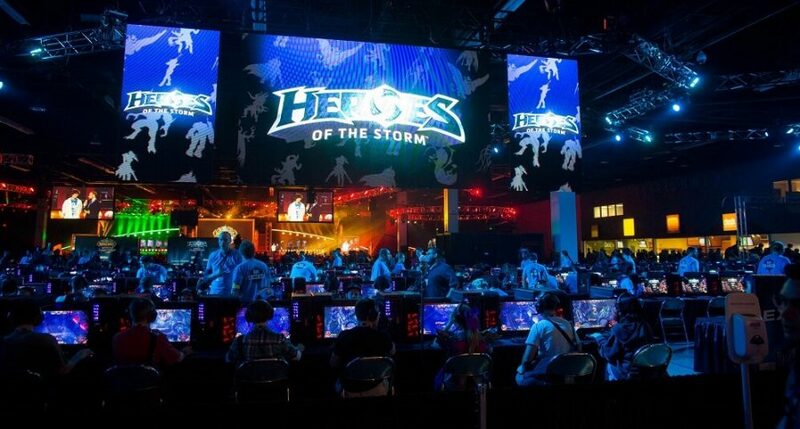 If you are not able to attend in person, you can also buy virtual tickets which give you access to videos of the event, including live drawing sessions with Blizzard artists, behind-the-scenes insight from engineers, exclusive interviews with developers and access to archives. Do you have any worthy events to add to the list? Let us know!